Version 2.0 of Mongo Invoices, the first Italian open source software for managing invoices, offers and customers, created by Gianluca Del Gobbo with the support of Fabrizio Chiovoloni and the small but valuable support of Gilles Ruppert. 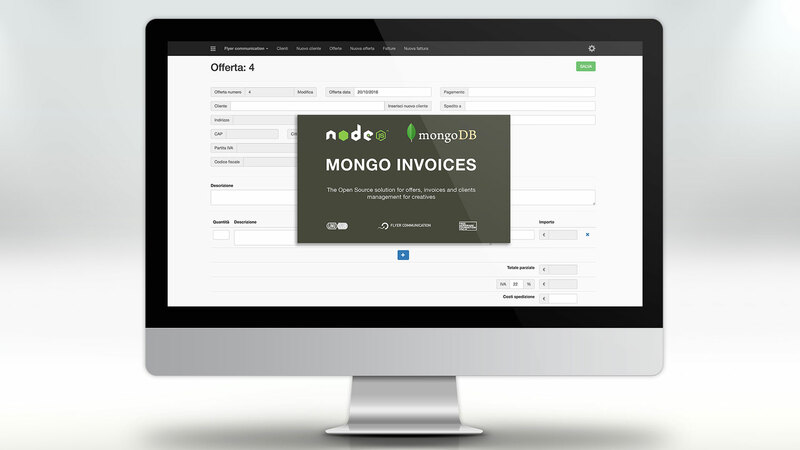 Mongo Invoices is based on MongoDB and NodeJS Flyer communication technologies began to study from 2013. Start to use it right now and, if you want, collaborate in its development!